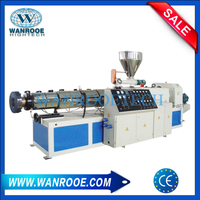 Parallel Twin Screw Extruder,Plastic Extruder,Plastic granulator from China Manufacturer - WANROOE MACHINERY CO.,LTD. 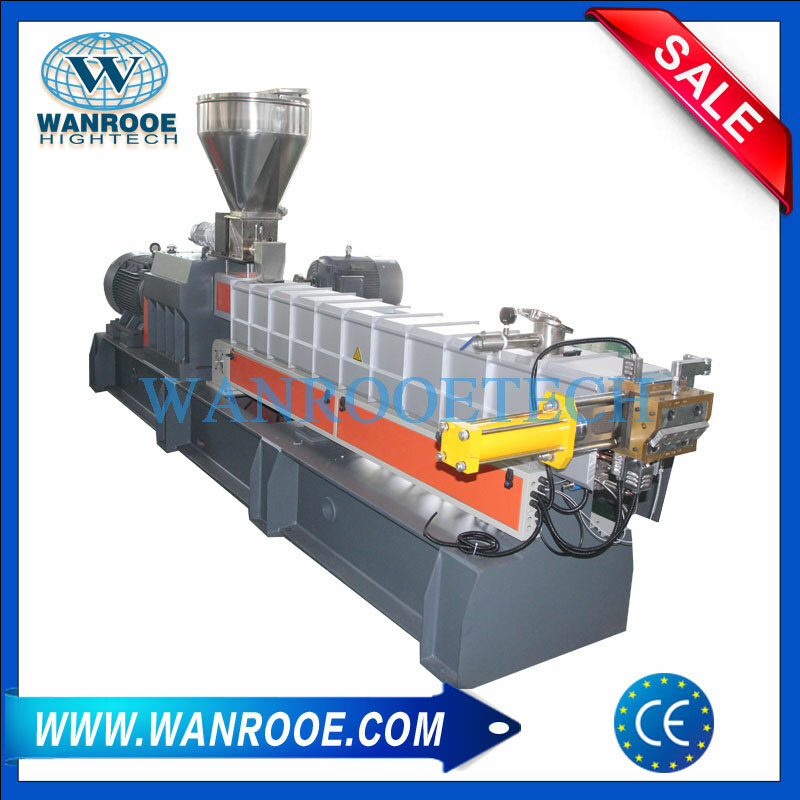 Parallel twin screw extruder is a kind of high-efficiency mixing, smelting, extruding equipment. 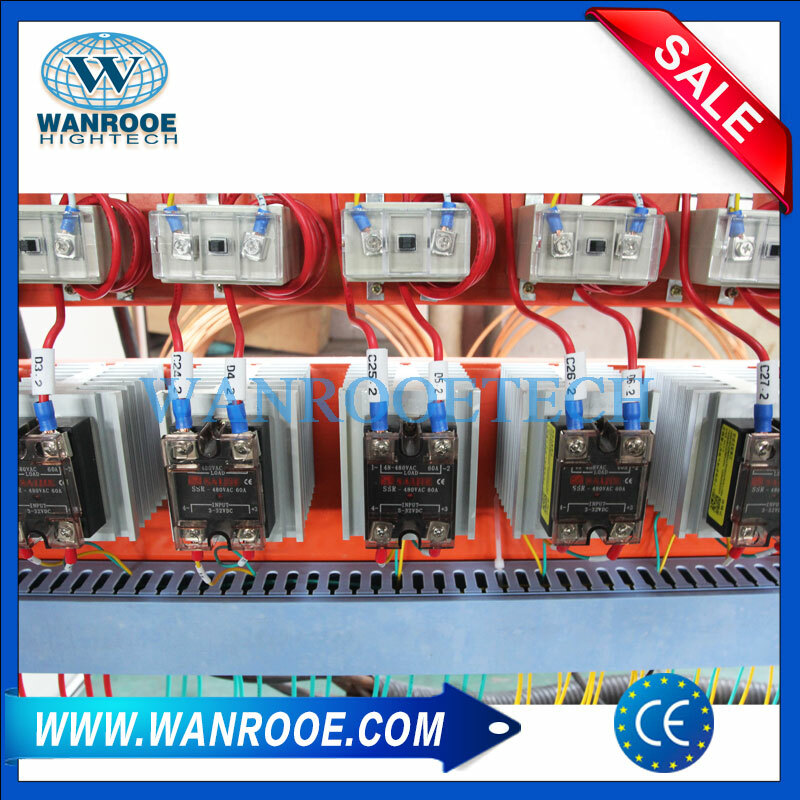 It also has driving system, control system and feeding system. 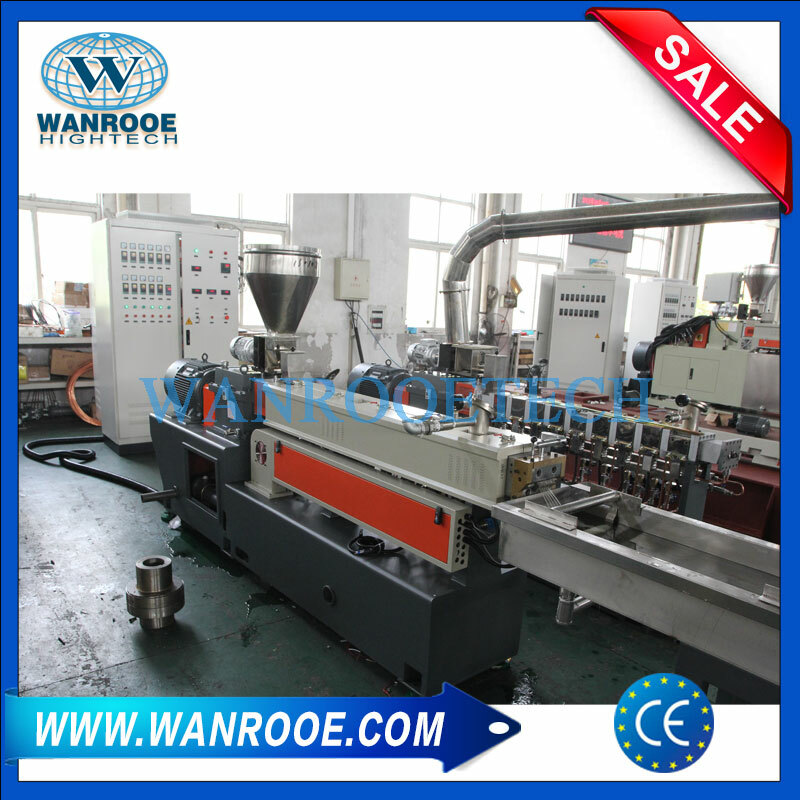 It is special extruding, graining and shaping processing equipment. 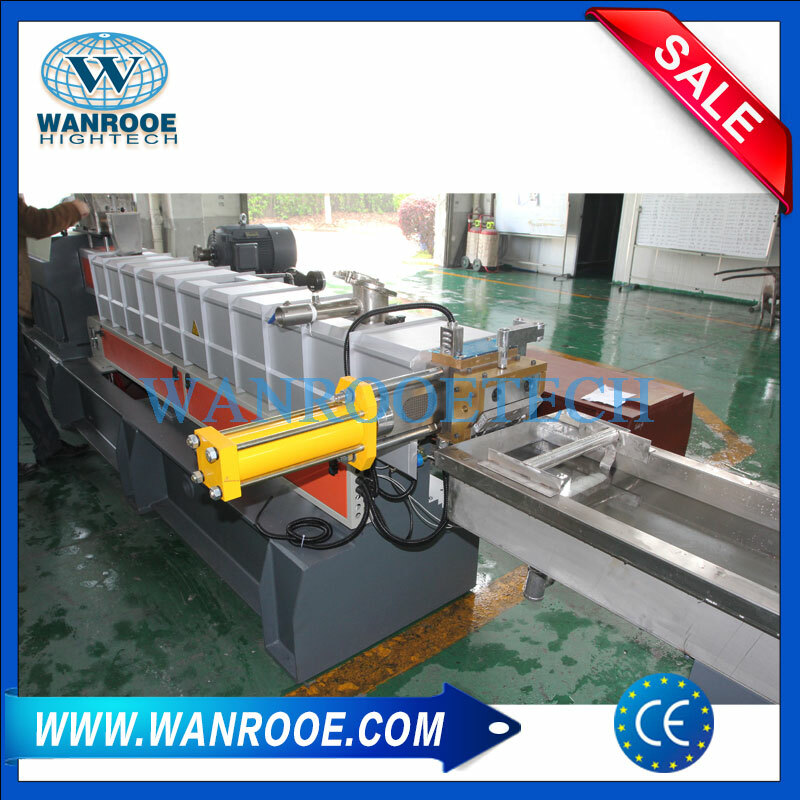 The screw stem and cylinder adopt building type design principle to change the length of the cylinder. 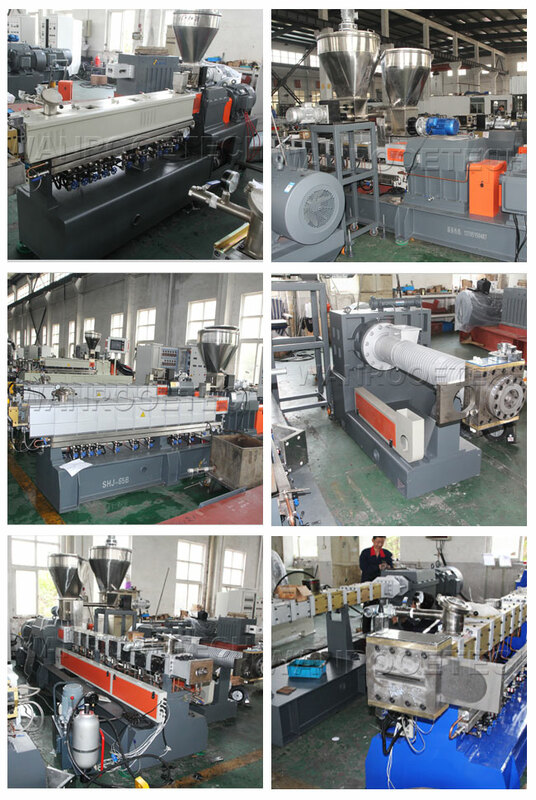 The customer can choose different screw stem parts to assemble the line according to material characteristics to get the best work condition. As it has good mixing, separating, dewatering and self-cleaning functions to avoid the materials wrapping the axle, caking in the extruding process. With the rotation of the screw stem, the surface of the materials continuously change. It helps the volatile matter dewater, treat dissolve at high speed and extrude the product. 1. Screw barrel: the structure of building block, good interchangeability, according to different processing technology of the material, the usage with arbitrary combination; nitriding steel, double metal materials, wear resistance, corrosion resistance, the extension of service life. 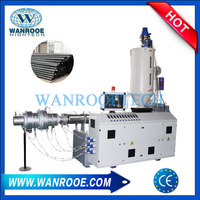 device to enhance the intensity of the thread components, shaft core. 3. Feeding system: quantitative feeding system with double screw with mixer, uniform and accurate feeding, to avoid the blocking of the material. 4. 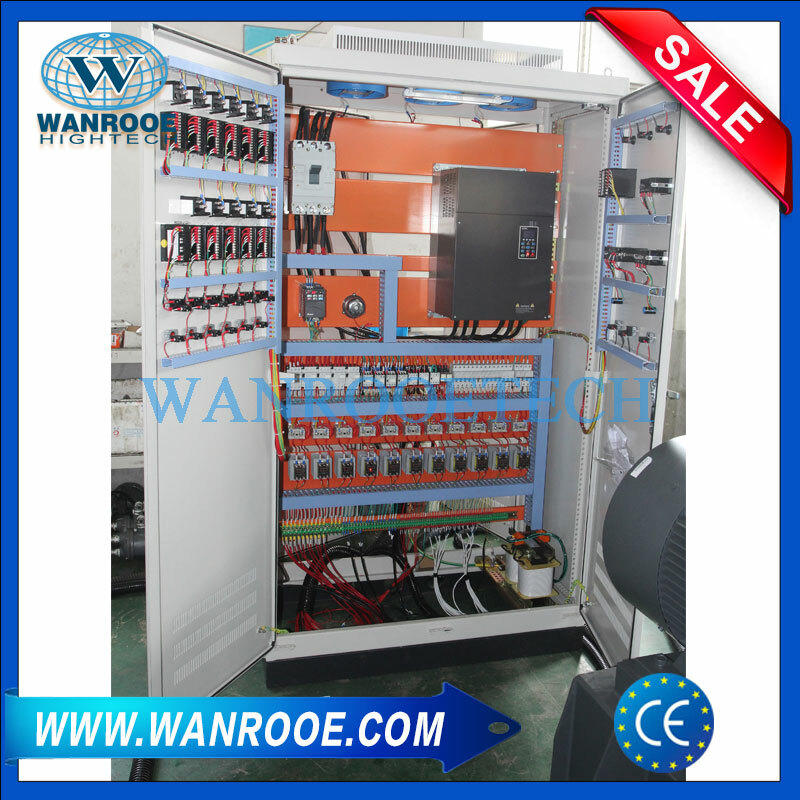 Electrical control system: imported electrical components;control panel with the human-computer interface; module control of each part (can also be configured according to user’s requirements), clear structure, safety interlock device, to reflect running status of the equipment accurately and operate conveniently. 5. Heating system: heating device with cast aluminum, cast copper and ceramic resistor, well-distributed heating, temperature control of high precision. 6. Temperature control system: temperature controlled table with double channel, sensitive respondence, convenient adjustment, temperature control of high precision. 7. Cooling system: combination of water cooling, oil cooling, and air cooling, quick, well-distributed and effective. 8. 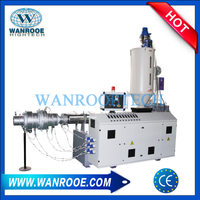 Auxiliary machine: according to different requirements of process, to equip cold bracing granulator , traction granulator, and hot cutting of air-cooled face water ring.